Our racks are not compatible with Tacomas with a tonneau cover. Proceed only if your Tacoma does NOT have a tonneau cover. Not sure? If you measure the inside of your bed and it is 62-1/2" wide, that is the New Ram. If not, then it is a Classic. I agree that my tonneau cover is above the rails. 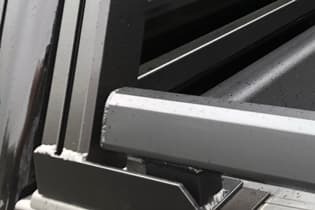 I also agree that I fully understand that if my tonneau cover is not above the rails it will not properly fit my truck. I also confirm that the overall width of my tonneau cover is less than 73-7/8 inches. I also confirm that the overall width of my tonneau cover is less than 71 inches. I also confirm that the overall width of my tonneau cover is less than 71-7/8 inches. I also confirm that the overall width of my tonneau cover is less than 71-3/4 inches. I also confirm that the overall width of my tonneau cover is less than 64 inches. 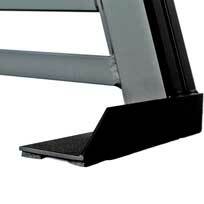 Add bed rails to your order now and save $100! 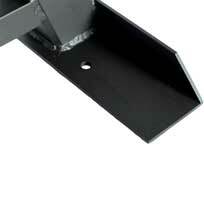 Bed rails must be ordered with the rack in order to get this deal. 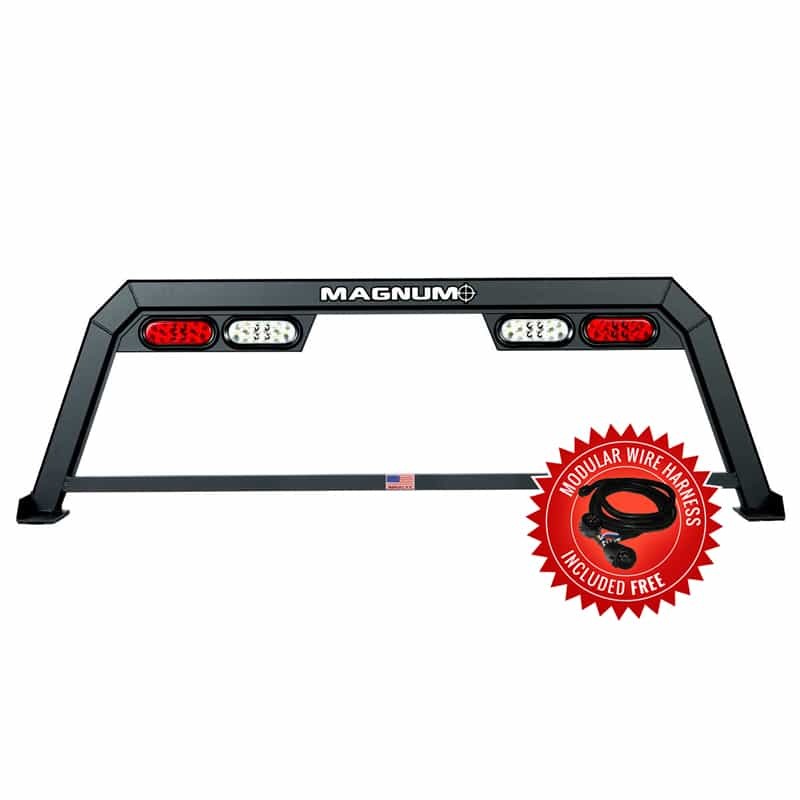 The Magnum Sport headache rack incorporates all the winning construction features of Magnum’s classic model “The Low Pro” – with new lighting technology: LED lights that integrate stop/turn/tail and backup into a single light on each side– giving your truck rack a clean, sleek appearance that reveals more of your truck’s rear window. 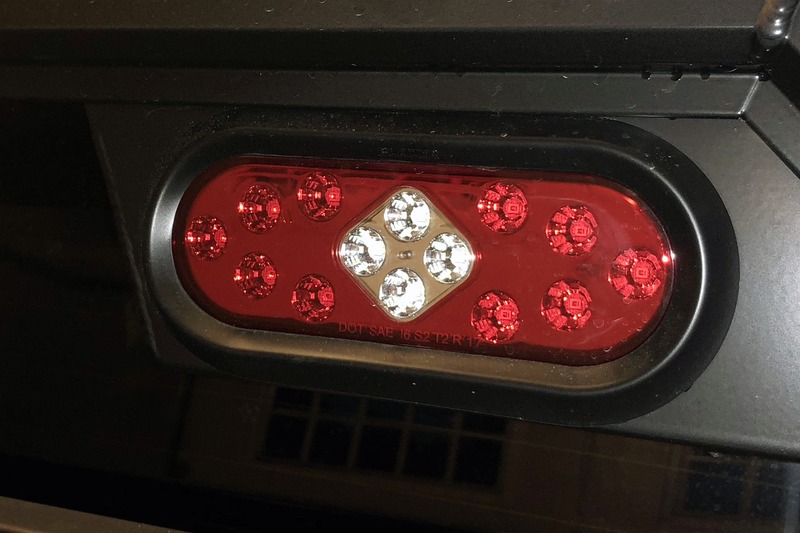 This model is available as one Sport package that includes: Cab high design, single integrated lights and a matte black powder coated finish. All Magnum Sports include a plug and play wiring harness and a stake pocket installation kit where applicable. 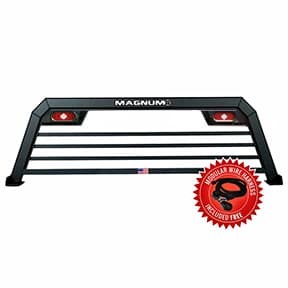 The Magnum Sport truck headache rack is constructed the same as every Magnum rack: built with high strength (6063 alloy) aluminum and finished with an automotive grade powder coating finish. 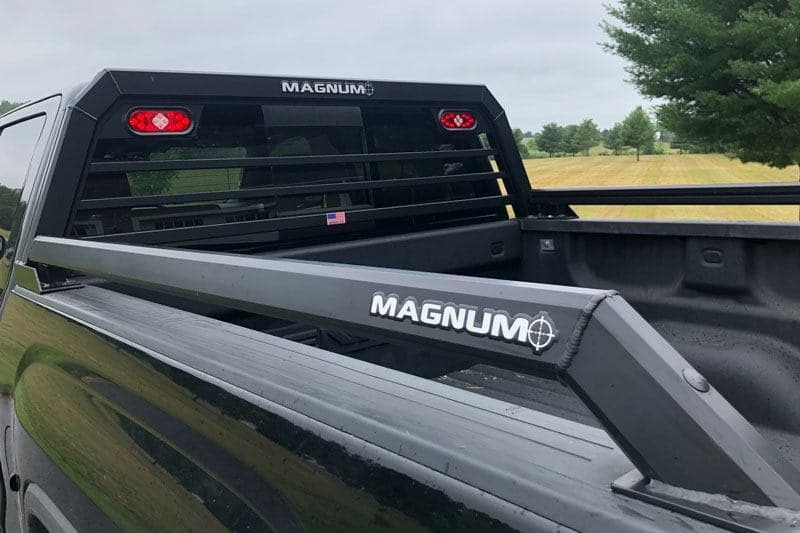 Every Magnum rack is specifically crafted to fit your vehicle – unlike the rest of the headache rack/back rack/truck rack industry. 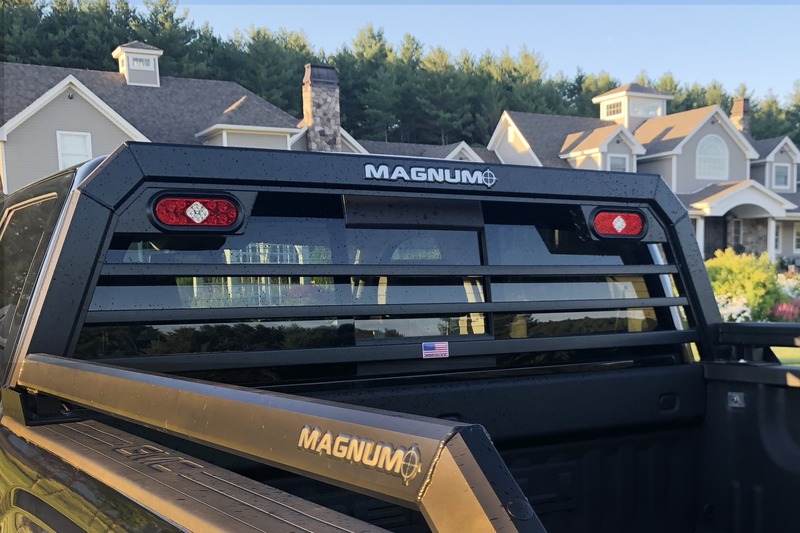 2 : A New design for 2018 from Magnum Truck Racks. 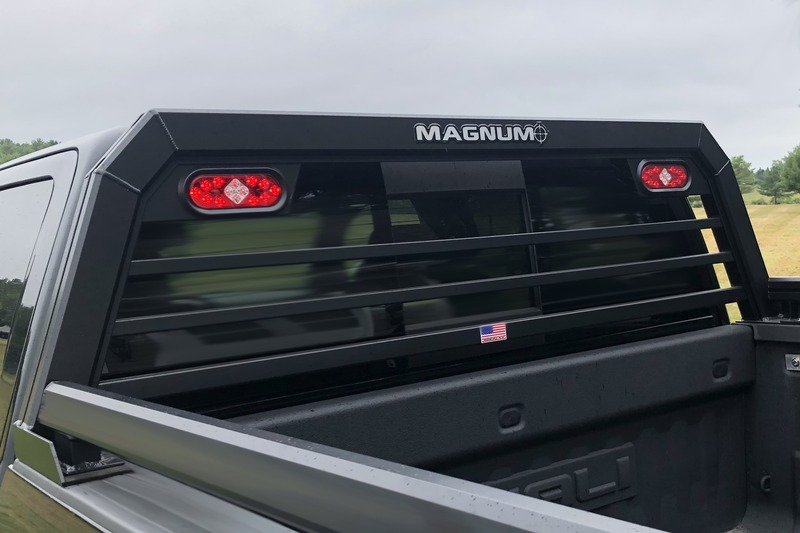 3 : An aluminum rack designed by the industry leader in truck racks; Compatible with Tonneau covers, Magnum Rear Racks and Magnum Rail kits. 4 : A handcrafted rack – built in the USA. 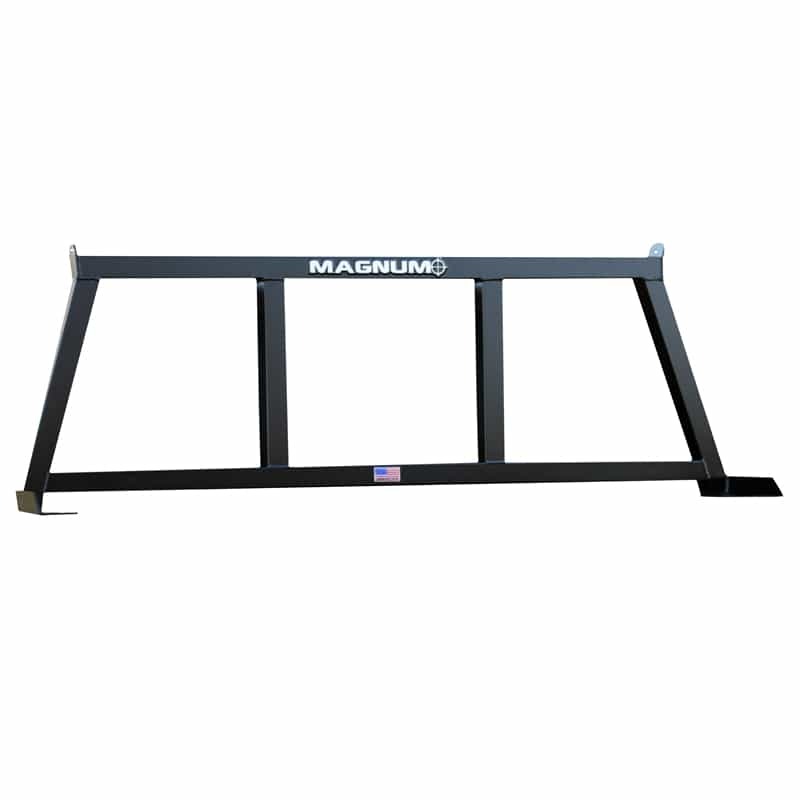 5 : A Magnum headache rack model recognized as one of the toughest, best looking, state-of-the-art racks for 2018.